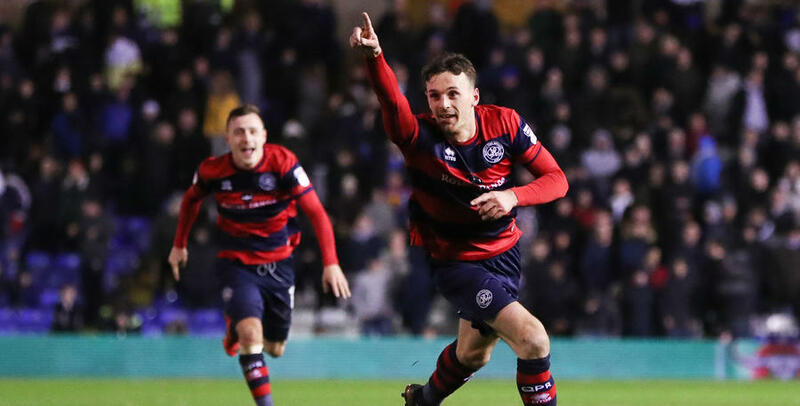 Jack Robinson was the unlikely goal-scoring hero for QPR as they ended their ten-month winless run on the road with a 2-1 win at Birmingham City. The defender hadn’t scored a professional goal but he scored twice at St Andrew’s to help his team secure all three points. In what was largely a scrappy game, Robinson gave the visitors the lead midway through the first half with a brilliant header. Blues got themselves back on level terms after the break with a Sam Gallagher effort from close range. As the game entered the closing stages and seemed to be heading for a share of the spoilts for both sides, Robinson repeated his first-half feat with a stunning strike from distance with just seven minutes remaining. It was a big, big win for the R’s who had to battle their way to victory. Holloway made one change from the side that lost against Leeds last weekend, with Alex Baptiste returning from his one-game suspension in place of Ilias Chair. The R’s boss returned to the system of play which had reaped such reward during the opening weeks of the season, opting for a 3-5-2 formation. It saw Alex Smithies continue between the sticks behind a back three, from left to right, of Robinson, Nedum Onuoha and Baptiste. Jake Bidwell operated as a left wingback with Pawel Wszolek doing likewise on the right. Josh Scowen, Mass Luongo and Luke Freeman started in the central area of the park behind a front two of Conor Washington and Matt Smith. The R’s went into this game at St Andrew’s looking for their first victory on the road since they last played here in February. With Blues also battling at the wrong end of the Championship table, it made for a tense atmosphere ahead of kick off. On five minutes, Rangers almost had their first sight of goal through Smith. The move started with Scowen delivering an inch-perfect pass for Freeman on the left, and the former Bristol City man centred for Smith, but the striker’s half-volley from 12 yards was well blocked by Harlee Dean. There were few clear-cut chances of note after that but much of the game was being played in Birmingham’s half, and on 17 minutes the R’s made that territorial advantage count by grabbing the opening goal of the game through Robinson. Freeman floated in a brilliant free-kick from the right and Robinson carefully guided his header beyond home keeper David Stockdale. The travelling R’s fans were in full voice as QPR looked to build on the early goal but in truth it was a scrappy affair as both sides tussled for superiority, but it was the visitors who certainly looked more comfortable in possession. On 30 minutes, Blues almost got in behind the R’s rearguard but Luongo was there to make a last-ditch challenge to preserve the visitors’ lead. From the resultant corner Jota flashed a header inches wide at the far post to remind Rangers that there were still plenty of potential twists and turns in this game. The home fans were certainly growing increasingly frustrated as the match moved towards half-time, and the R’s had a great opportunity to double their lead two minutes before the interval. The hard-working Freeman put in a strong challenge on the edge of the Birmingham area which saw the ball fall invitingly for Washington but he drilled his shot inches wide of the far post from ten yards. After the break, QPR started the stronger of the two sides and on 50 minutes Scowen saw his low drive from 20 yards deflect wide after a clever pass by Washington. From the corner, the ball was played back to Bidwell who delivered a great ball for the on-rushing Robinson but he could only power his header over the bar from ten yards. The hosts then enjoyed their own spell of possession and started to ask questions of the Rangers defence. And on 57 minutes Birmingham got back on level terms through Sam Gallagher. Maikel Kieftenbeld initially did well to win possession on the edge of the R’s box and he fired a low drive which Smithies could only parry into the path of Gallagher, who slid in to knock the ball into the back of the net. QPR had to show their character after the leveller. With St Andrew’s behind them, the hosts were now playing with greater confidence and enjoying their best spell of the game. On 67 minutes, Jota cut inside from the right but saw his shot cannon off Bidwell before being cleared. With 15 minutes remaining Holloway made his first change of the afternoon, replacing Matt Smith with Idrissa Sylla – and he nearly scored with his very first touch. 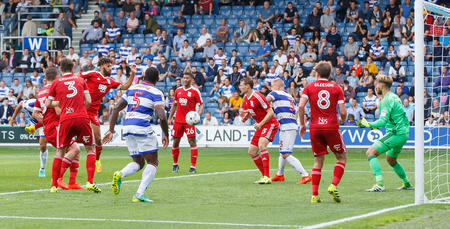 Freeman found Bidwell on the left and the fullback centred for Sylla who powered his header inches wide from ten yards. On 80 minutes, Scowen broke but just overhit his through-ball for Washington, allowing Stockdale to come out and clear the danger. Both teams were only interested in winning this match which made for a very open game in the closing stages. And on 83 minutes it was Robinson again who got his name on the scoresheet with a stunning strike. Following a corner from the right, Freeman exchanged passes with Wszolek before he slid the ball into the path of Robinson. 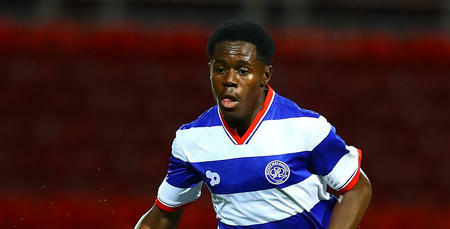 From 20 yards out, the R’s defender took a touch before drilling the ball into the bottom corner of the Birmingham net. The R’s fans sang their team across the line as they had to withstand some late pressure from the hosts to secure all three points. There were big scenes of celebration at the final whistle in recognition of a key victory for the R’s. 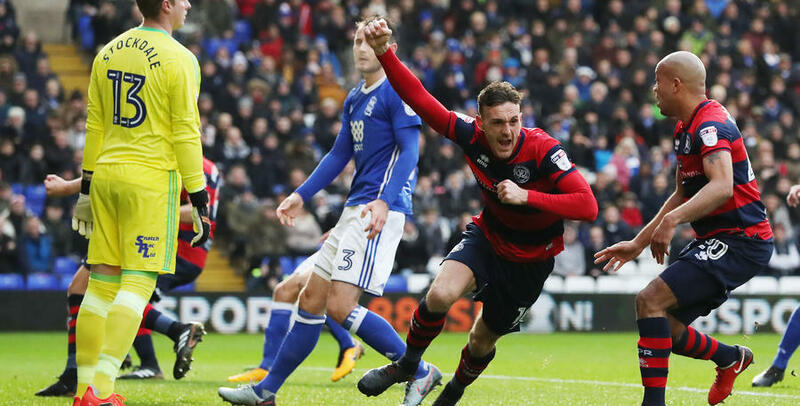 WATCH highlights from QPR's 2-1 win at Birmingham City.